Freedom is now available on Amazon Kindle and Barnes & Noble Nook. Soul Trekking Through the Dark Night is a starkly honest account of immense sorrow—and incredible courage. 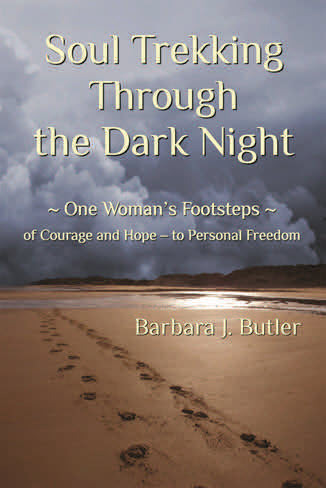 Barbara’s soul‐searching journey through her life’s darkest hours—which included family violence and a devastating brain injury—is also deeply spiritual, with an amazing tale of perseverance, survival, acceptance, and reinvention. For those who are moving toward a new life, Barbara’s book is a trek worth reading.